Welcome to the Warren County Sheriff's office. 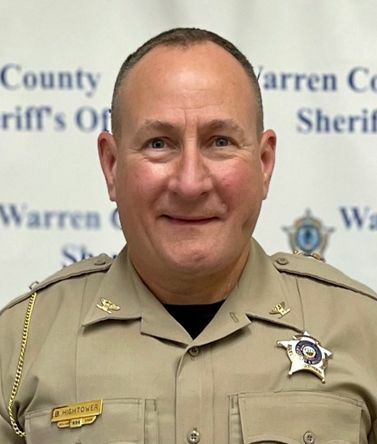 According to Kentucky Revised Statute (KRS) Chapter 70, the sheriff is elected to be responsible for law enforcement, court service and tax collection throughout Warren County. Sheriff Brett Hightower serves Warren County with 35 certified full-time deputies, 1 certified part-time deputy, 30 certified court security officers, 11 certified telecommunicators, along with a combined total of 15 tax and records clerks, as well as administrative personnel. With trained, efficient and dedicated staff, our office’s primary goal is to provide exceptional service to the citizens of Warren County and the Commonwealth of Kentucky. The mission of the Warren County Sheriff’s Office is the assurance of citizen and responder safety, and the delivery of superlative civil and non-emergency services. We pursue the mission vision through comprehensive crime prevention, illegal incident intervention, equitable enforcement of county ordinances and state statutes, as well as with diverse citizen support and educational programs.